Did you know this about Mazatlan ??? Lake El Salto is a 23,000 acre impoundment, home to some of the very best Largemouth Bass Fishing in the Mexico and the world. 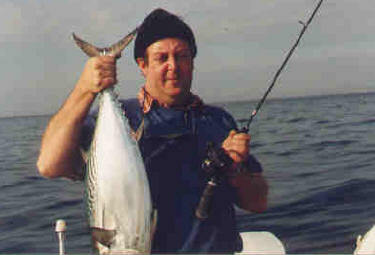 Lake El Salto is located 50 miles north of Mazatlan. Thousands of bass over 10 pounds have been caught and released at this great Mexico bass fishing lake! 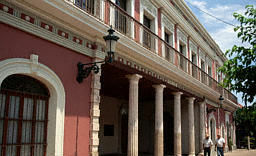 Mazatlan's historic opera house, the Angela Peralta Theater in February of 2004 will celebrate it 130th birthday. It is the jewel of the historic area that stretches out behind the sea wall at Mazatlan's Olas Altas. The city of Mazatlan then got the dubious distinction of being the 2nd city in the world after Tripoli, Libya of being one of the first to suffer aerial bombardment. During the revolution of 1910-17. The bomb landed not on target but on the city streets of Mazatlan and in the process killed two citizens and wounded several others. 'El Faro' (the lighthouse), located on the island-penisula of 'Cerro Creston', has a height of 157 meters (515 foot) above sea level, which allows a reach of more than 48 nautical miles, being considered as the highest natural lighthouse of the world.